The majority of Americans rely on food labels to give them an accurate picture of the nutritional content of the foods they buy for themselves and their families. Out of this group, two-thirds use the label to check for calorie, salt, vitamin and fat content. Another 55 percent depend on food labels to give them a “general idea” about the nutritional content of the food. Many are also drawn in by claims such as “all natural,” “whole grain” and “no trans fat” — depending on such information to make healthy food selections. Unfortunately, many food labels are incredibly misleading, leading you to think you’re choosing healthy foods when you’re really not. From undefined words like “natural” to deceptive serving sizes, reading food labels can be tricky — and the more you know about what to look for — and what to avoid — the better choices you’ll be able to make. It’s no secret that food manufacturers often stretch the regulatory limits on food packages to make their products appeal to consumers, and sometimes their claims are downright fraudulent. Using nutrient claims on foods for children under 2 that are only permitted for use on foods for adults. Claims that a food can treat or mitigate disease, which puts the food into the category of an unapproved drug. Misleading “healthy” claims on foods that do not meet the established definitions for health foods. Misleading statements on juice products that make consumers believe they are from a single juice, when actually they’re a juice blend. The FDA falls short in ensuring companies are complying with food labeling laws and regulations, and conducts only limited testing for the accuracy of nutrition information on labels.4 The Government Accountability Office gave the FDA failing grades for preventing false and misleading labeling in October 2008. 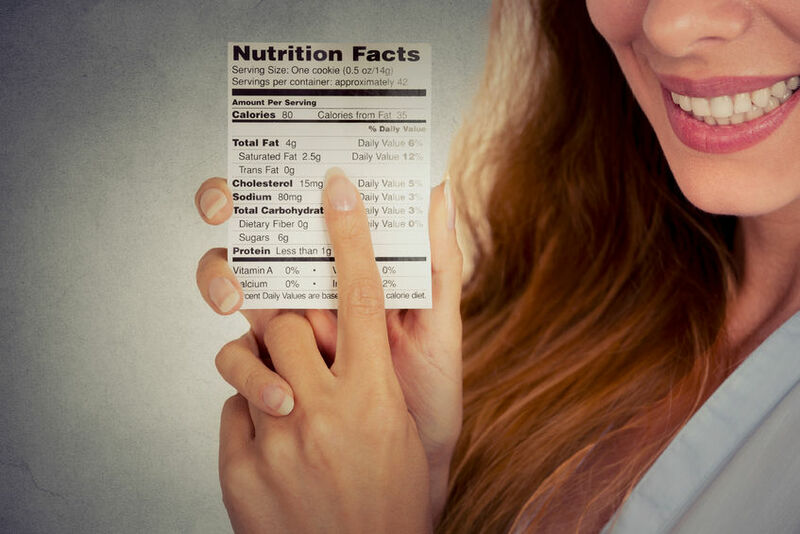 Anytime you read a food label you are trusting that the information it contains is accurate, but this is not always the case. Further, even if the information is accurate it may be intentionally misleading. Here are some of the top deceptive terms to watch out for. 1. Natural: A product labeled as “natural” must not contain synthetic or artificial ingredients, according to FDA policy.5However, it may still contain pesticides, genetically modified ingredients, high fructose corn syrup and be heavily processed, which negates what many consumers think of as natural. 2. Healthy: A “healthy” product must meet certain criteria that limit the amounts of fat, saturated fat, cholesterol and sodium, and require specific minimum amounts of vitamins, minerals, or other beneficial nutrients. However, it may still contain large amounts of sugar, artificial ingredients or preservatives, which may not be healthy at all. 4. 0 Grams of Trans Fats: If a food contains 0.5 grams or less of trans fat per serving, it can claim to be trans-fat “free” or to have “0 grams of trans fats.” However, many people eat double, triple or more of the recommended serving size of foods, which means you may be ingesting 1 gram or more of trans fat per serving, even if it claims to be trans-fat free. 5. Made With Whole Grains: Many products tout they’re a healthy source of whole grains, when in reality refined flour is the first ingredient. The FDA does not define what percentage of grain must be whole in order to use this claim, so be sure “whole grain” or “whole wheat flour” is listed as a primary ingredient. Typically, you can tell if bread is truly made with whole grains by picking it up; it will be heavier and denser than those with refined grains. 6. Misleading Package Images and “Made With Real Fruit”: Just because a bottle of juice or box of fruit snacks has pictures of fruit on its label does not mean it contains fruit. Many products even claim to be “made with real fruit” when they contain only a small portion of fruit concentrate. 7. Lightly Sweetened: Reduced sugar and sugar-free claims are regulated by the FDA, but the term “lightly sweetened” is not. If a product claims to be “lightly sweetened,” it could technically contain any amount of sugar. 8. Serving Sizes: Many foods you may think are single servings are actually divided into two or more on the Nutrition Facts panel, making you think it contains less sugar, fat and calories than it really does. Some of the biggest offenders to watch out for are large muffins, bagels, ice-cream pints and personal size pizzas, which often contain multiple servings even though they’re sold as “individual” sizes. Also be aware that many serving sizes are smaller than you think. For instance, most ice cream manufacturers count a serving as one-half cup, when most people eat more than that at a sitting. 9. Certain Health Claims: The FDA does regulate certain health claims, such as “may reduce the risk of cancer” — but others like “helps maintain a healthy heart” or “supports the immune system” are not.8 A food item can claim any number of ambiguous health statements that may or may not be scientifically valid, making it a truly buyer-beware market. How Can You Make the Best Food Choices? If food labels are often deceptive and inaccurate, how can you make healthful food choices for your family? First and foremost, most of your food selections should be fresh whole foods — items like vegetables, fruits and lean meats, which often have no Nutrition Facts panel at all. These should be the mainstays of your diet. When you do choose processed foods, take all label claims with a grain of salt. Realize they may or may not be true, and base your primary decision on the ingredients list instead. You want to look for foods that have only a few ingredients listed, and they should be items you recognize. Avoid foods with exceptionally long lists of ingredients, as well as those that contain unfamiliar additives, preservatives, and artificial flavors and colors. And always use common sense. You know a sugary breakfast cereal is not going to be your healthiest choice, even if it claims to be a “smart healthy” one on the label. When in doubt, foods that are unprocessed and in their fresh form are almost always superior to processed varieties. And when choosing between processed foods, look for those with the fewest, most wholesome (and whole) ingredients possible. 4. U.S. Government Accountability Office (GAO) “Food Labeling: FDA Needs to Better Leverage Resources, Improve Oversight, and Effectively Use Available Data to Help Consumers Select Healthy Foods” September 2008.